This Christmas, vow to wow with original gifts, goodies, and cards! This Saturday, December 3rd, Lebanon’s favorite imports wholesaler will be unveiling Orange Label, a floor dedicated exclusively to the pursuit of fine goods, gourmet goodies, and never-before-seen-in-Lebanon luxuries. 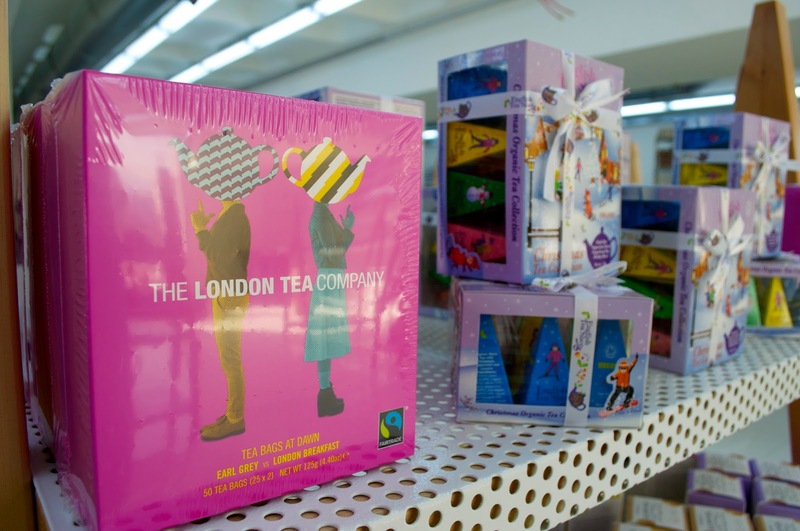 Here's the low-down on what you can expect to find nestled on the 3rd floor of Wesley’s Hazmieh. You all recall Taza Chocolates, right? Those perfectly unrefined, minimally processed and organic Mexican chocolates shaped into circular disks which come in flavors like vanilla and chipotle chili. Well, they’ve released their seasonal collection, and it includes the winter warmer Spiked Eggnog combining rich Dominican cacao with the essence of rum. 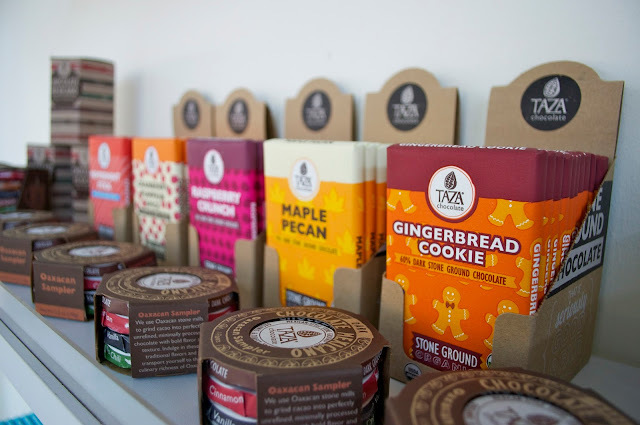 Taza’s Amaze Bars take stone ground chocolate to another dimension by mixing incredible flavor combinations into bold dark chocolate to form the likes of Gingerbread Cookie, Maple Pecan, Raspberry Crunch, Cranberry Pumpkin Spice, and Peppermint Stick. Candy canes are so passé anyway. 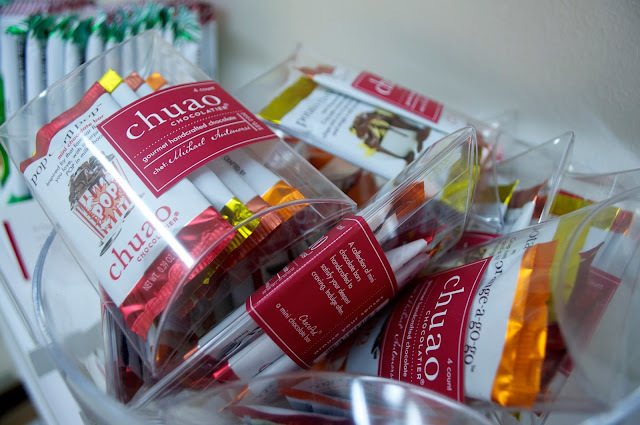 Also in the chocolate lineup are Chuao (pronounced chew-wow), the first Venezuelan chocolatier based in the US, in Southern California (the heartland!). At the core of the Chuao experience are blends as decadent as Strawberry Waffle Wild; Cinnamon Cereal Smooch; For the Love of Peppermint; Baconluxious; and Hope, Joy & Gingerbread. Trust me, it’s a Herculean task trying to narrow it down to just a few, so the sampler pack is your best bet and makes an awesome stocking stuffer. For added measure, these handcrafted bars are free of artificial preservatives, sweeteners, colors, flavors, and hydrogenated fats. They’re practically as healthy as salad, right? Parfait for the parents. 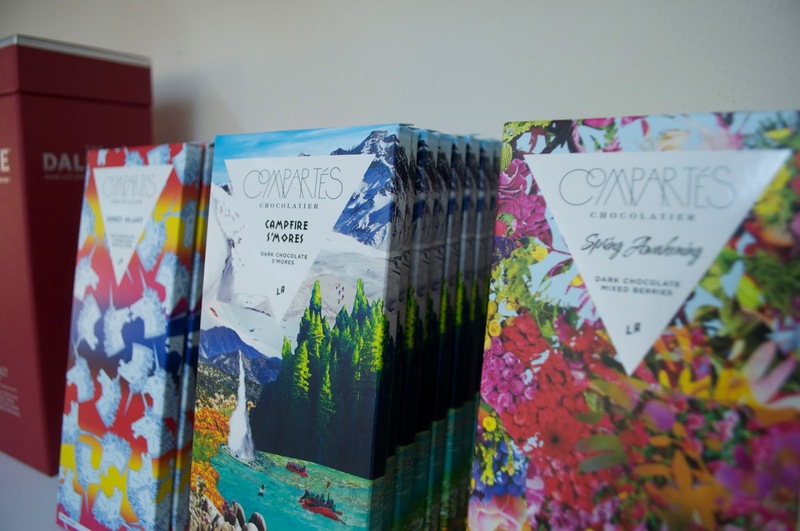 Okay, one more chocolate you need to get acquainted with – what can I say, artisan chocolatiers are booming in the US! Compartés is an LA-based shop that handcrafts gourmet chocolate in hip and trendy designs. Not only are their unusual flavors delicious—who even thought you could fuse cereal with chocolate—but they’re visually stunning as well! Coney Island Milk Chocolate/Waffle Cone, S’Mores Dark Chocolate Bar, and Cereal Bowl White Chocolate are just a few of the savors waiting for you at Wesley’s Orange Label. We all know that a proper holiday toast requires a bit of a punch, you know, a pick-me-up. Why not conceal them in innocent edible fashion? Beer-Kissed is all merging craft beer and gourmet treats in one, like their handmade cookies featuring real butter, cane sugar and pure spices. They also boast caramel sauces with a hint of beer – ideal pancake topping material. But did you ever consider popcorn lightly coated in a beer-infused caramel? Santa baby! The batch on shelf was prepared exclusively for Wesley’s and air-flown just last week, in time for the opening of Orange Label. It doesn’t get fresher than this. Also in the alcohol repertoire are Jack Daniel’s fudge in Tennessee whiskey and honey, as well as Anthon Berg gift sets showcasing dark chocolate bottles with genuine spirits in liquid centers. How’s that for a boozy binge? Who doesn't know of Anthon Berg's renowned alcohol-filled chocolate bottles? 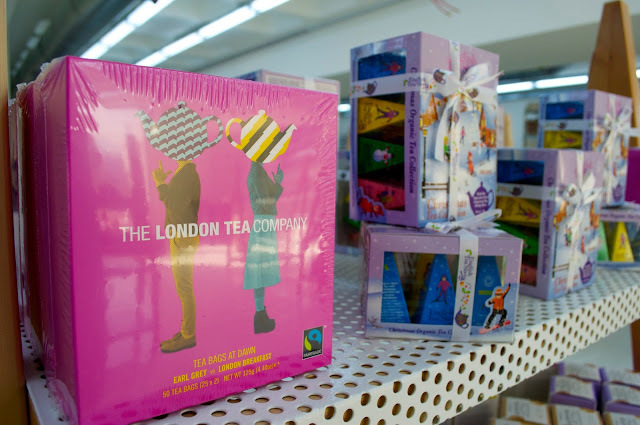 Tea aficionados will delight in choice brew from the English Tea Shop and London Tea Company – stand down America, this is British turf. 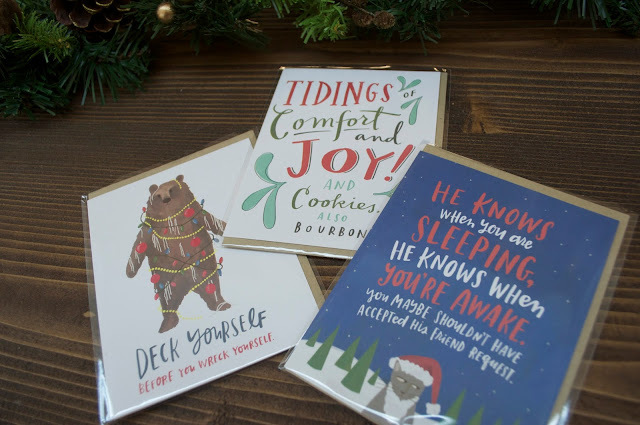 There’s also non-food items, like original Christmas cards, Fields Notes steno and memo books, and cookbooks – okay, fine, I concede, that’s a food item. Kind of. But ever since Chrissy Teigen gave birth to John Legend’s adorable baby, admit that you’ve been eyeing her Cravings book! I know I have. Athletes, take note: Run Fast. Eat Slow. Words to live by, and also a whole foods, flavor-forward cookbook (by Kopecky and Flanagan) that proves food can be indulgent and nourishing at the same time. Now here’s a book I’ve been hankering after, authored by Serious Eats editor and fellow MIT alum: The Food Lab (Lopéz-Alt), which promotes better home cooking through science. Leave it to an engineer to break down everything to its elemental bits! Let me just lay it out there: if you even remotely consider yourself a foodie, you may as well pitch a tent up on the 3rd floor of Wesley’s Hazmieh as you ogle all the pretty products. 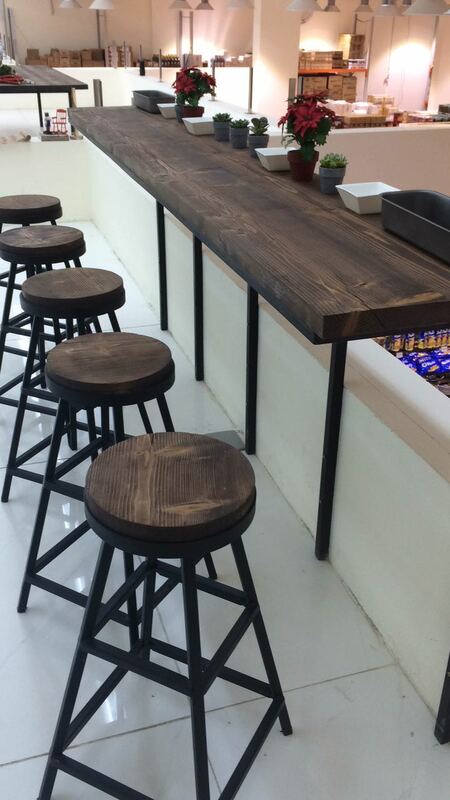 The team at Wesley’s gets that, which is why they’re installing a complimentary, self-service espresso bar where different gourmet coffees will be proffered every month. All hail the complimentary espresso bar at Wesley's Hazmieh Orange Label! So this Christmas, while everyone’s pulling their hair out squaring away Secret Santa gifts and dinner party gestures, you’ll be reveling in the unique treasures of Orange Label available nowhere else in Lebanon. For other branches, see here. Beirutista has joined forces with Wesley’s Wholesale as Brand Ambassador. What exactly does that mean? Well, if you liked this post, you can look forward to similar ones every month or so. I’ll also be blogging about a variety of exciting new projects Wesley’s has underway, in addition to sneak peeks and product leaks! Expect cool new product giveaways from time to time, and if you’re a real Wesley’s obsessive like I am, I’ll gladly hook you up with 10% off your next visit. Just shoot me a message at any of my contact coordinates listed here.